For over 30 years it has been my pleasure to assist Buyers and sellers achieve their goals of home ownership and sales. I have dedicated myself to doing the best job possible in my chosen field. I have been rewarded with many Top Achievement Awards but the most rewarding are the wonderful comments and letters received form my happy clients. I now am pleased to be working for the Best Real Estate Company, RE/MAX Banner. We were pleased that our agent came down to meet with the congregation of Paradise Bapt8st to answer any questions. We highly recommend Ms. Fulton!! 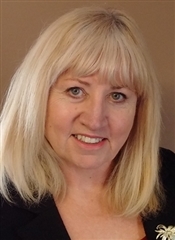 Lorna is an honest dedicated agent who can represent buyers and sellers in a highly professional manner. I have had several realestate dealings over the past few years and I have dealt with many different agents. Lorna has proven to be at the top of my list for excellence.